3M™ Glass Cloth Tape 398FR is a flame retardant solution for many aerospace and MRO applications. It features a pressure sensitive acrylic adhesive that bonds on contact to a variety of substrates. This high adhesion bond will remain secure for extended periods of time while resisting wear and spills. 3Mâ„¢ Glass Cloth Tape 398FR is a flame retardant solution for many aerospace and MRO applications. It features a pressure sensitive acrylic adhesive that bonds on contact to a variety of substrates. This high adhesion bond will remain secure for extended periods of time while resisting wear and spills. 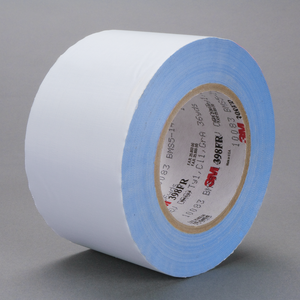 3Mâ„¢ Flame Retardant Sealing Tape 398FR is a glass cloth tape with an acrylic adhesive for many applications requiring high adhesion, an abrasion-resistant backing and flame retardant properties. The tape meets flame retardancy requirements of F.A.R.